NEW BERLIN, WI (February 26, 2015) – When Dallas Davidson isn’t writing hits for country music superstars, he is out on the water, fishing pole in hand, enjoying the great outdoors. On this week’s episode of Bill Dance Outdoors, Davidson fulfills a childhood dream and joins the host for an action-packed, educational bass fishing experience in Tennessee. Bill Dance Outdoors airs Sunday, March 1 at 3 p.m. ET on Sportsman Channel. Seventeen chart-topping hits written for the likes of Luke Bryan, Blake Shelton and Lee Brice, and numerous songwriting awards, make up Davidson’s lyrical repertoire. But Davidson is an outdoorsman at heart. His love of fishing began at an early age – in part thanks to Dance. Davidson has been a fan of the show for as long as he can remember. Childhood dreams come true for him, as he joins Dance for a long-awaited bass fishing adventure. 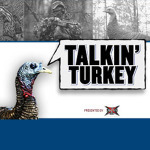 Bill Dance Outdoors airs Sundays at 3 p.m. ET on Sportsman Channel. Learn more about Bill Dance Outdoors on Facebook https://www.facebook.com/billdance and Twitter https://twitter.com/@Bill_Dance1. About Sportsman Channel: Launched in 2003, Sportsman Channel/Sportsman HD is a television and digital media company fully devoted to honoring a lifestyle that is celebrated by millions of Americans. A division of KSE Outdoor Group, Sportsman Channel delivers entertaining and informative programming that showcases outdoor adventure, hunting and fishing, and illustrates it through unique and authentic storytelling. 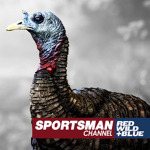 Sportsman Channel embraces the attitude of “Red, Wild & Blue America” – where the American Spirit and Great Outdoors are celebrated in equal measure. Sportsman Channel reaches more than 36 million U.S. television households. Stay connected to Sportsman Channel online at thesportsmanchannel.com, Facebook, Twitter and YouTube. To find Sportsman Channel in your area click here.